Delivery is FREE on orders over HK$300 anywhere in Hong Kong. For orders below HK$300, a HK$60 delivery charge applies. We deliver Monday to Saturday, excluding public holidays. If the items in your cart have different delivery times (as explained below), you can choose to split your order into multiple deliveries. An extra HK$60 fee is applied for multiple deliveries unless your cart value is above HK$600. 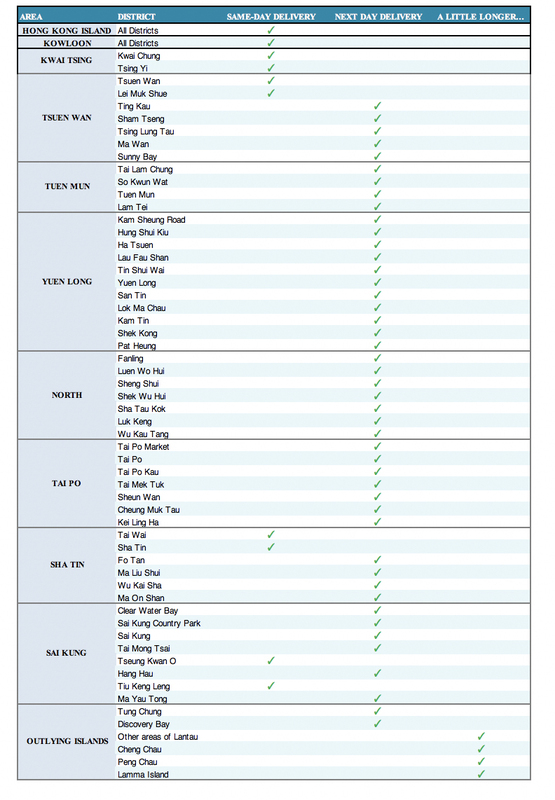 Parts of the New Territories (please see Delivery Areas Table at the bottom of this page). The estimated delivery times of other items is shown on each product page. ** If your shopping cart is less than HK$600 at checkout and you require deliveries to be split, an extra delivery charge of HK$60 is applicable. If your shopping cart is over HK$600 at checkout, your second parcel will be delivered free of charge. Please check the table below for your specific area's delivery time of EXPRESS SHIPPING items. If this fails then the goods will be returned to our warehouse. 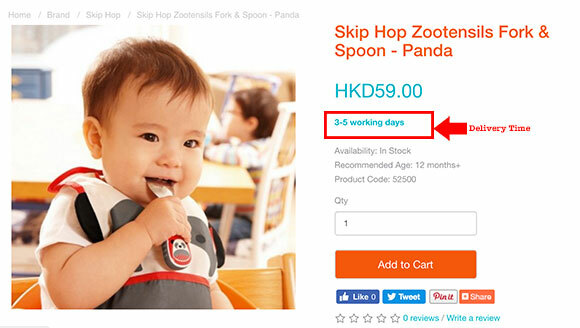 In this case, regretfully babycentral.com.hk may charge for redelivery or redirection of failed orders. This charge will be at cost only.